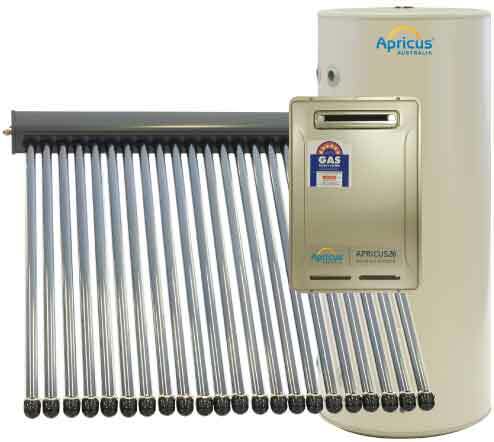 A cost effective, Apricus Evacuated Tube Solar electric boosted hot water systems harness the sun’s energy to heat your water with the highly efficient solar collectors . You also have the confidence of an electric storage tank to provide back up if needed. You can rest assured you will have reliable hot water, 24/7, and you’ll also reduce your hot water heating bills. 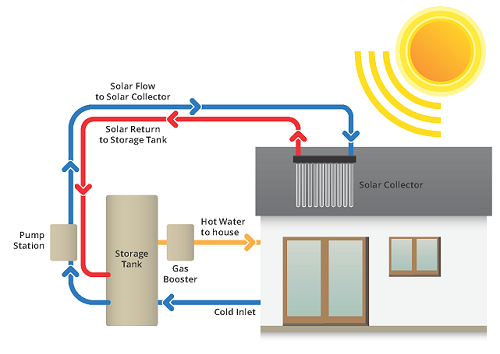 This image is for indicative purposes only to provide a basic understanding of an electric solar hot water system. Evacuated Tube Solar gas boosted hot water heating systems are an efficient and reliable supply of hot water by harnessing the sun’s energy. You’ll have peace of mind knowing you have reliable hot water, 24/7 and you’ll also reduce your hot water heating bills. This image is for indicative purposes only to provide a basic understanding of a gas boosted solar hot water system. 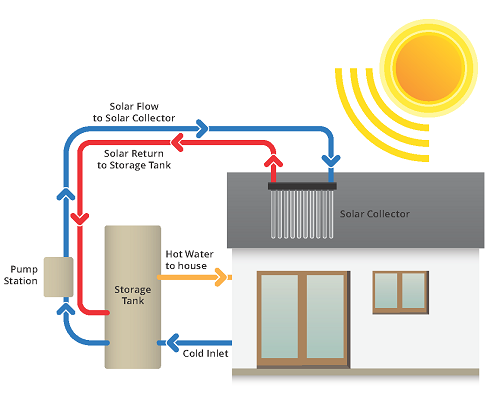 Want more details on how the Apricus Solar Hot Water system works? Here’s An 11 minute detailed overview. Our products are available through 1,200 resellers across Australia so you will enjoy local, dedicated support.